Buying a home can feel risky. Buying a newly flipped home can feel even riskier. That is why it’s so important to take some extra steps before you buy that shiny new flipped home. “Flippers” will buy a property that needs repair, fix it up, and then turn around and sell it for a profit. These houses can be extremely attractive to buyers who are looking to buy in a certain neighborhood but don’t necessarily want to make the repairs needed to make it move-in ready. Identifying a flip home can be fairly easy. First, you’ll notice that the house was purchased and then put up for sale around six months later at a higher price point. Then, you will notice the upgrades usually throughout the entire home, but sometimes just in the main areas such as the kitchen and bathrooms. Try to identify who flipped the house. Once you do that, try to track down earlier buyers so that you can ask if they discovered hidden problems after moving in. Even if you can’t locate other owners, ask to see other properties that they have flipped. This can help you make a better offer by recognizing how long their houses typically stay on the market, what they sell for, and what kind of condition they are in. Regardless, purchasers should ask for a history of properties the developer has completed. These examples will also show a buyer how long a flipper’s properties remain on market, average sale price, as well as other considerations for a potential offer. Ask the owner for a written report detailing what has been done on the property and ask them to sign it, Patricia Szot of Keller Williams Realty Lake Cities in Garland, Texas told Bankrate.com. 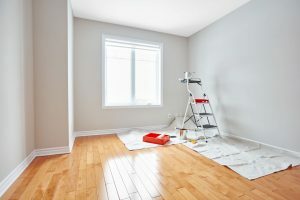 You can get a good idea by looking around as to what kind of work has been done, but if you have a list of items you can pay special attention to those areas. The name of the game here is research. So your next step is to find out who the contractors, electricians, and other tradespersons were who worked on the renovation. Look into their track record as well. While a home inspector is going to check the safety and code, there are things you can’t see behind the walls so it’s a good idea to know the quality of work that went in. You can get a good idea yourself by doing a quick check under the sink and in the electrical panel according to Mike Holmes, contractor and author of “The Holmes Inspection: The Essential Guide for Every Homeowner, Buyer and Seller,” (Eldorrado.com). Holmes suggested to Eldorrado.com to take a look at the plumbing in the kitchen and bathrooms as well as the electrical panel. The plumbing should be new and the wiring in the electrical panel should be “clipped and tidy”. Speaking of home inspections, hire a professional home inspector. It’s always a good idea to do this but it is especially necessary with a flipped home. They will be able to point out things you may not notice while you’re busy looking at the amazing new tile backsplash. With any house we always try to mitigate risk as much as possible. So it is a good idea to negotiate a home warranty as a part of your contract, according to an article on WashingtonPost.com. They may look like new homes, but flips don’t have the same two-year warranty that a new construction may come with. You can also take an extra step and keep all of your warranties for things installed during the flip, if available: HVAC, major appliances, roof, etc. Whether you’re looking to buy or sell, it’s always a good idea to speak to a real estate agent first. Contact us at MD Home Team for your real estate questions today.